DEEP CONNECTIONS is about the fulfillment of a prophecy. Brenna is the prophesied "carrier" of great power and when the stars align, she'll be ripe for the picking. Which explains her demon stalker, He wants to possess Brenna so he can carry out his vow of vengeance and the power he'll reap from claiming Brenna will basically make him invincible. Brenna's knight is Slaton, a real gorgeous Native American werewolf who is incidentally Brenna's soulmate. The conundrum is Brenna's "power" or magic can only be "harnessed" by the man who'll take her virginity. They had no idea what they were up against. Brenna was his and nothing was going to stop that. not even death. he couldn't play around anymore. He had to have her and soon. Time not on his side. [The Stalker]. 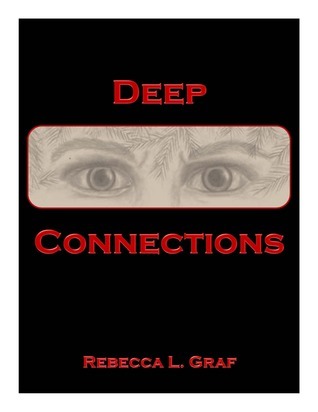 DEEP CONNECTIONS by Rebecca Graf took me for a spin! From the blurb it sounds like a romantic suspense kind of story and I'm really into those now so I was eager to start the book. Well color me surprised, it is romantic suspense but it's the SUPERNATURAL kind. Not that I mind really, good thing the supes were a bunch of hunky Native American werewolves (Jacob Black!) but it caught me off guard so it skewed my mind-set completely. So my very subjective (so take this review with a grain of salt) review will then have to be split between the writing and the story. THE STORY: It's a little typical with the virgin sacrificial lamb and prophesies but the stalker element RGraf wrote in was really creepy and made DEEP CONNECTIONS engaging to an extent. She inserted the stalkers POV in between chapters to make the threat more foreboding and dangerous keeping the conflict consistent and ever present. Brenna would go through minor personal invasions, so subtle it messed up her mind and sense of security and I empathized with her to that extent. The love story is there but it wasn't as powerful and as consuming as I thought it's be. The debate about giving up her virginity to Slaton was funny and a little awkward to me. Like Brenna, I too would questions whether or not Slaton is really into her or if he's after the power he can gain from sleeping with Brenna . The pace too felt awkward, the supernatural facet was brought a little late which really confused me for a bit because again I thought this was a contemporary novel so I had to do multiple double takes just to make sure I'm reading the right book. I wish RGRaf brought in the werewolves early on in the story instead of those subtle wolf sightings and telepathic convos Slaton was having with his mom. It would've changed and electrified the whole dynamic of the story. Bringing it late in the game made that arc of the story rushed dulling the effect. THE WRITING: RGraf is too safe, too polite and too clean. Nothing wrong with that but as a reader (again being subjective here) it didn't shatter that "trans-dimensional" feel. I didn't really connect with the story because to me it felt like RGraf was too conscious of what she's writing instead of letting the story tell itself. The dialogue feels too formal, as if the characters were living in a different era or a carefully rehearsed script, it didn't feel Urban. It also got me confused as to the genre of the story. Due to its "cleanliness" it can be YA but it has a feel of UF/PNR but it's not "dirty" enough. So for me, DEEP CONNECTIONS is in the middle which is OK, genre blending is good but I wish it were more definitive. So this explains my ambivalent rating. I liked the book but my confused state got in the way of me fully appreciating the story. Rebecca Graf is a wife and mother of three when she is not writing. From writing online for various companies to book reviews to her own novels, Rebecca spends most of her days reading and writing. She worked as an accountant for 20 years before taking a chance and trying to make it as a writer. 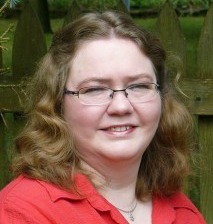 She has been published on sites such as BellaOnline.com, HubPages, and Natural Family Today. She also freelances where she writes for several different companies. She is an avid reader and has found a love of writing all types of genres. She self-published her first children’s book, A Gift for a Mouse two years ago. Since then, she has started her own publishing company with a friend. Deep Connections is their first publication. Not so much a fan when I am confused, but glad that you enjoyed despite that. LOL Yeah I don't like this kind of surprise when it comes to books, I like straightforward books because I'm a mood reader. I loved this book. I found the characters to be real and entertaining. Brenna's relationships with Eaton and Slayton add just enough sexual tension to keep my attention. The dark man added a layer of fear that kept me turning page after page in this fast paced novel. Ms. Graf's addition of Indian lore and detail gave the storyline realism. I am waiting for the sequel. I'm glad to see you enjoyed it. This is why reading & reviewing is so fun, we all read and appreciate the same thing differently. Thanks for stopping by! I loved this book. The build up to the surprise was outstanding. The tenderness with which each man, Slaton and Eaton, treats Brenna, made me fall in love with both of them. Reading this book was like watching a beautifully directed movie, but in my mind, the detail was outstanding. The villain added such an amount of suspense I felt my heart pounding as I read, wondering what was going to happen next. I couldn't read it fast enough. Then when I was through I was mad at myself for reading as fast as I did, so I went back and read it again. For a book to make me want to read it more than once, and I have since then, that is an outstanding story. Mrs. Graf has a knack for storytelling that will make you keep wanting to read until the end. It has just the right combination of romance, intrigue, suspense, and supernatural. Makes me keep wanting more. CANNOT WAIT FOR THE SEQUEL!!!! SO EXCITED!! Great to see you excited for the sequel, we'll see if the demon has been vanquished and the extent of the power Brenna is carrying. Wow! I loved the fact that we didn't get to know they were shapeshifters until quite late in the story. (Note: Per Hermione Granger - the difference between a shapeshifter and a werewolf is that a werewolf changes against his will when subjected to the full moon, while shapeshifters change at will.) Since I don't care for the heaving-breast romance genre at all, I was grateful that Graf didn't go overboard or handle the romantic aspects crudely or vulgarly. I also thought that her dialogue was one of the better aspects of the book!! Totally disagree with your assessment. Funny thing how tastes in writing differ. I can hardly wait for the next book to come out!! Like I told Marianne, this is why reading and reviewing is so fun, there's so many factors that go in to reading a book. Books that keep me on the edge of my seat, books that I don't want to put down because I just have to see what happens next are my favorite kind to read. I found Deep Connections to be this type of book. The love triangle was good, but the Creeper is the one who added enough suspense and tension to keep me wondering what was going to happen next. The fantastic opening of the story let me know that something bad was going to happen, then once I got to where that happened I had to keep reading to see who was going to be Brenna's first and get all of the power. So much was riding on who she decided to sleep with. The way Brenna looked at romance and relationships may have been a bit old-fashioned, but it was like a breath of fresh air in this modern world where everything seems to go so fast now, and most women just aren't worried about staying pure for the one they end up marrying and spending the rest of their life with. I am anxiously awaiting the release of the sequel so I can see what happens next. I agree, Brenna's stalker/demon was wonderfully written, he is indeed creepy and his visits to Brenna was traumatizing and terrifying. Very interesting... I like books that cross to different age groups and genres so I may like that, but your descriptions of the dialogue and stuff has me thinking that I may not love it. I don't really have time for it anyway, but I guess now it's on radar for the future! Thanks for stopping by Candace! Don't take my word for it, you might like it like the other ladies. I like good supernatural stories too but I don't like to be left ambilavent or perplex by a book. It makes reviewing it so much complicated! I like the way you point the things that you thought were lacking or should have been brought up sooner. It's constructive. But unfortunately, I'm not sure I will try this one. Thanks for stopping by Lucie! yeah reviewing books isn't as easy some people think, it requires a great deal of tact and the right balance of subjectivity-objectivity on our part.